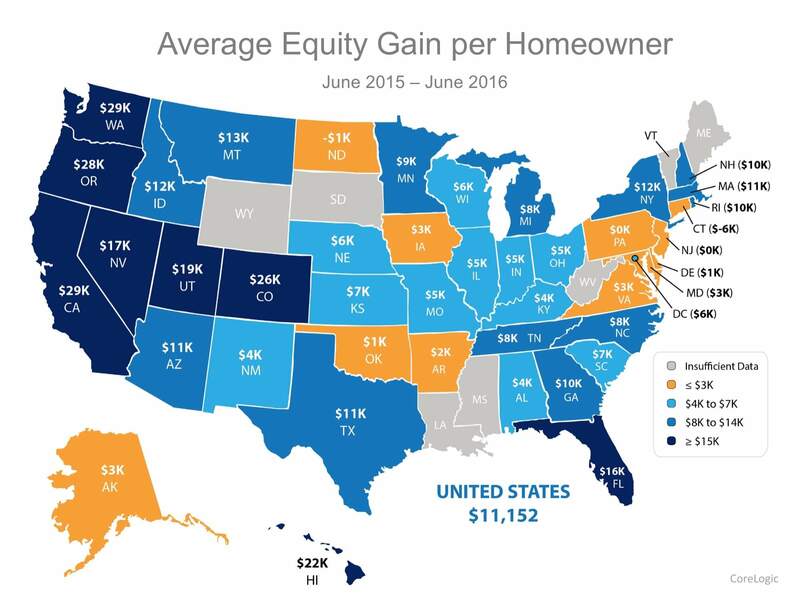 CoreLogic reports that, for the 12-month period ending June 2016, homeowners across the U.S. saw an average increase in equity of just over $11,000. California homeowners saw more than double that with average equity gains of $29,000 per ownership household. More good news: CoreLogic’s Home Price Index projects another 5% rise in the coming year, so recent home buyers and those who are planning to buy soon are likely to benefit as well. What does that mean? If you haven’t purchased a home here in San Diego yet, it’s not too late to begin your home search. You can watch a summary of the report below or view the full blog post here.